Rosamond and her husband James F. Carew at the beach. Happy Birthday, Mema. Rosamond Mary Moore Carew turns 106 March 15. Rosamond Mary Moore Carew, my mother, known to her family as “Mema,” may just be the oldest living Irish American. She was born in Brooklyn, New York to John Francis “Frank” Moore and Anna Regina Brady on March 15, 1911. Both of Rosamond’s parents were proud of their Irish heritage. Her paternal grandparents, William Moore (born in 1834), and Alicia McGough Moore (born in 1841 to John McGough and Anna McKenna) were immigrants from Drogheda, County Louth. Rosamond’s father Frank, my grandfather, was actually born in Drogheda, too, on April 23, 1869, when his parents where home from the United States for a visit. The couple had already become American citizens and returned to New York soon after the birth of their son. Frank would complete his studies at St. Lawrence’s School in New York in 1883 and began working for the wholesale firm of Arnold Constable afterwards. In 1902, John Francis Moore and Anna Regina Brady married in Our Lady of Mercy Church in the Bronx. Portrait of Rosamond as a young woman. 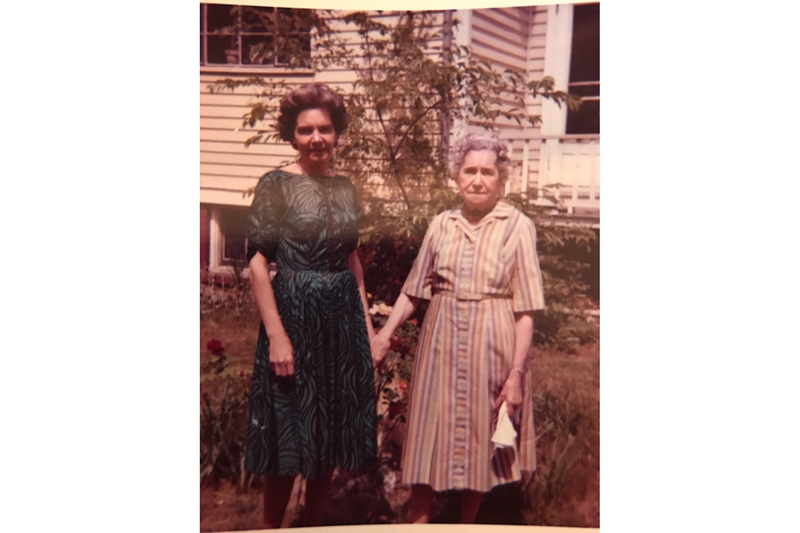 Rosamond’s mother, my grandmother, Anna, was born in 1882 and has the distinction of being the first woman in New York City to get a driver’s license. Anna’s father was a judge, John J. Brady (born in 1853), the only son of Anne McGuire and John McGovern Brady, who had come over from Butlersridge, County Cavan. Justice Brady, a graduate of Fordham University, was both the first commissioner of the New York City Department of Parks and Recreation and first judge from the Bronx to sit on New York State’s Supreme Court. Until recently, his portrait hung in the Bronx County Courthouse. Anna’s mother was Eleanor Keeler, whose father, Michael Keeler, was an Irish immigrant. The Moores moved to New Rochelle, New York, where the family home, “Beechmont,” proudly had “Céad Míle Fáilte” engraved on the mantel of their very large fireplace. (Beechmont is now the Jesuit residence for Iona College.) Anna and Frank had 11 children, though a son, Phillip, died at three months. Rosamond, the fifth child, was very close to her father. When Anna was pregnant with her last child, Frank suddenly became ill and very quickly passed away from a rare form of pneumonia caused by Legionella bacteria. Rosamond was only 15. 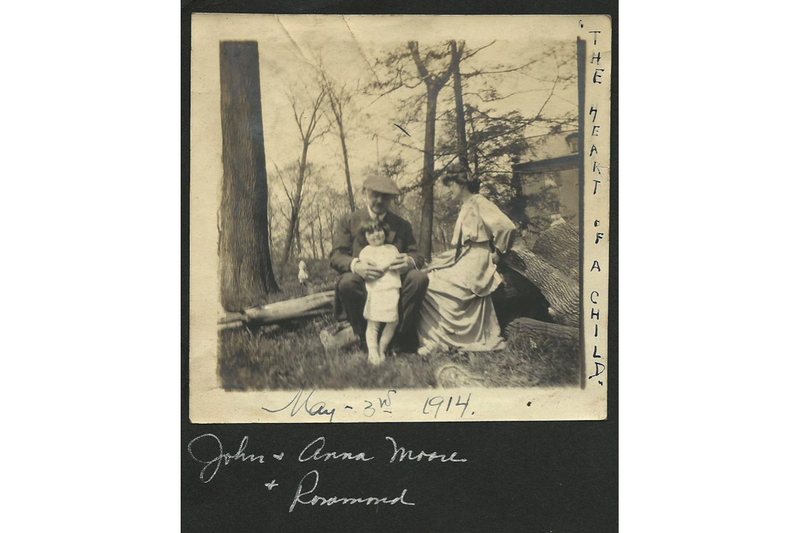 John and Anna Moore with Rosamond, May 3, 1914. 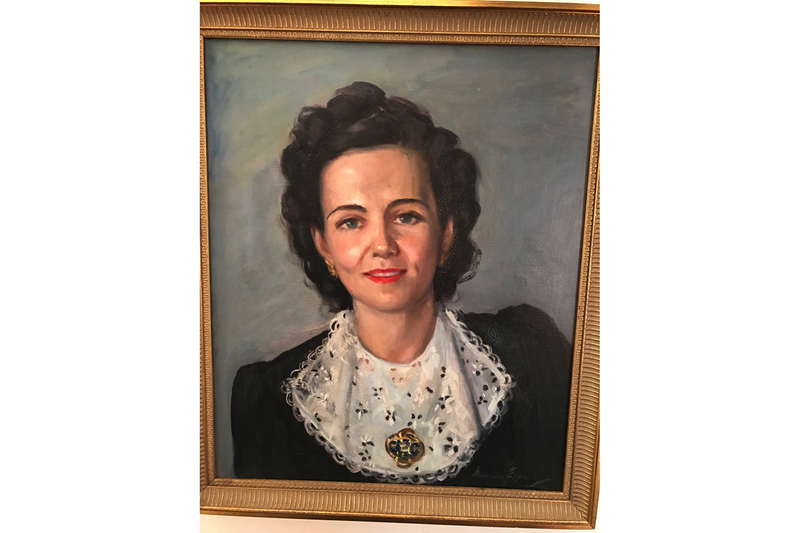 My grandmother Anna, now a young widow, soldiered through both the depression and World War II, managing to keep the family home and put her children through school. But there were good times too – at one point my mother and her sister threw a party serving bathtub gin. Things were just getting warmed up when an aspiring actor and comic, Archibald Leach, showed up. Leach would later change his name to Cary Grant. After Rosamond graduated from high school, she attended the Scudder School of Business in Manhattan. There, she met my father, James F. Carew, a second-generation Irishman and Fordham graduate who worked as an attorney in Manhattan. Rosamond’s future father-in-law, Judge John F. Carew, was a congressman from New York who achieved a degree of notoriety as the judge in the Gloria Vanderbilt custody case – he gave “Little Gloria” over to her Aunt Gertrude. Rosamond and James married in April 1938 at the Holy Family Church in New Rochelle. 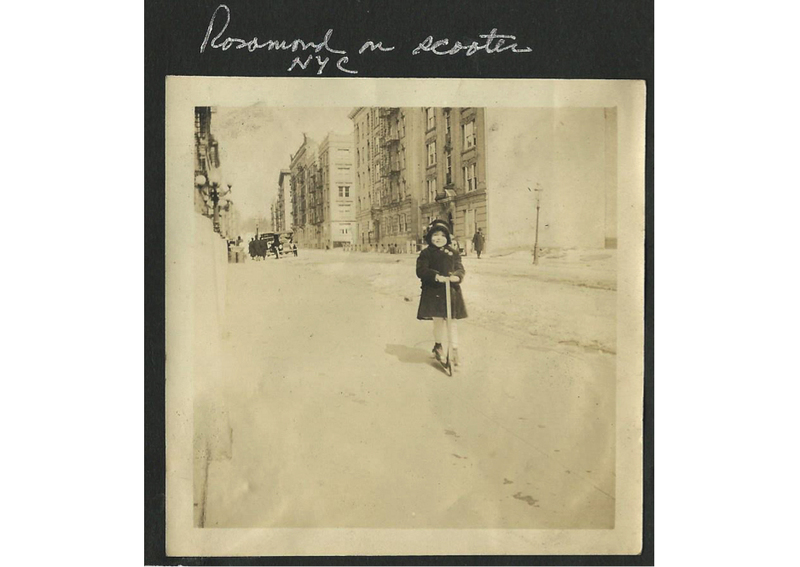 Rosamond on a scooter in New York City, c. 1915. My parents lived in Manhattan and Queens until they finally settled in Rockville Centre, Long Island, where they raised their four children – Peter, Rosamond (Bonnie), myself, and James Jr. After her children were grown, Rosamond went back to County Federal Savings Bank in Rockville Centre until her retirement in 1976 when she and my father moved to East Quogue. He died in 1981. Rosamond has five grandchildren, Collette Perodin, Donald and Caroline Weir, and my children, Jennifer and Jim McLauchlen; and four great-grandchildren, Hayden and Bradley Weir and Lachlan and Ava Rosamond DeSane. Rosamond and her mother Anna. Rosamond and I took many trips together including a few to Ireland. But, at the age of 86, she and my daughter Jennifer took a grand tour together, living it up in Rome and Paris. They spent days in museums, restaurants, cafés, and shops, and Rosamond, who never tired, wore elegant suits and jewelry the entire time. She walked miles in high heels – cobblestones be damned! During her 40 years on the East End, Rosamond has lived in East Quogue, Water Mill, and Southampton, where she’s known to one and all as “Mema.” In 2005, she sold her home and moved to a cottage in Water Mill to be closer to her family. 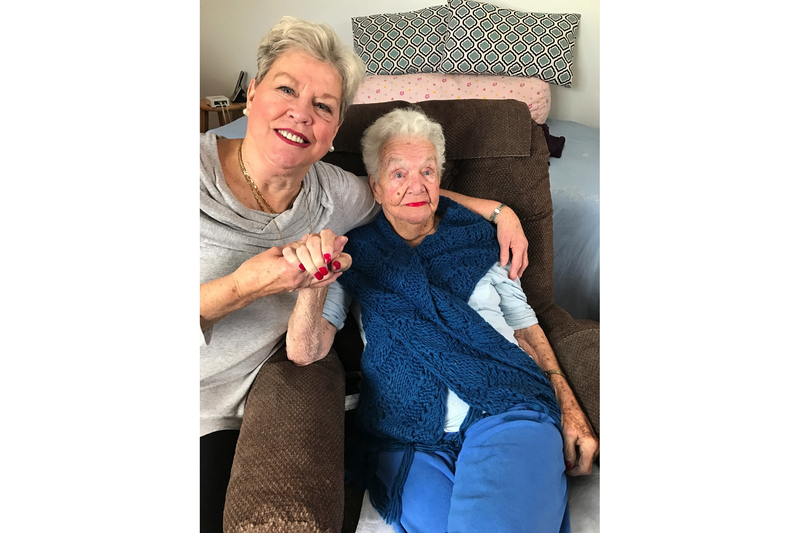 She lived on her own until 2011, when she turned 100 and my daughter Jennifer invited Rosamond to live with her and her children, Rosamond’s great-grandchildren, Lachlan and Ava Rosamond, in Southampton. Rosamond with her daughter, Kathleen “Kathie” McLauchlen, February 2017. CONGRATS TO MEMA AND THE ENTIRE FAMILY. What a life, what a legacy, we should all aspire to more like Dear Rosamond….may she live another 20 years….beautiful story….from another Irish descendent made whole…. Beautiful story, beautiful legacy of children, grandchildren …. A life abundant in love. We need to heed her examples of never stopping, enjoying everyday and dressing well! Congratulations to a great lady. You have a wonderful family and your daughter, Kathie, has done so much for the world of Bridge playing. You should be proud. Congratulations to Mema. What a great story what a great life! All the best to Mema and and her great children and grandchildren.